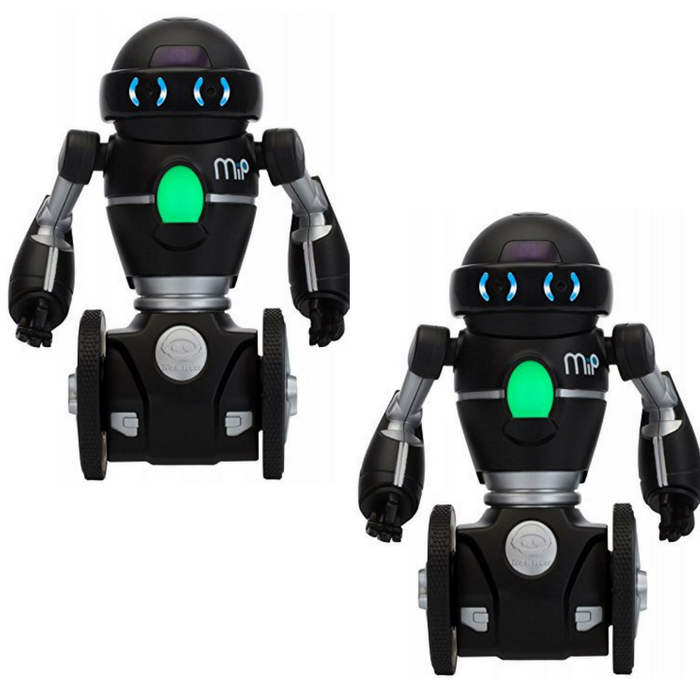 MiP The Toy Robot Just $62.99! Down From $100! PLUS FREE Shipping! You are here: Home / Great Deals / Amazon Deals / MiP The Toy Robot Just $62.99! Down From $100! PLUS FREE Shipping! Check out this MiP The Toy Robot which is on sale at Amazon for just $62.99 down from $99.99 PLUS FREE shipping! Introducing MiP! MiP has an inquisitive and responsive personality communicated through motion, sounds, and RGB LED eyes. With his unique dual wheel balancing, MiP is able to navigate his surroundings, follow hand gestures, and even follow objects around. Unique dual-wheel balancing with fast speeds and on the dime turning. Hand gesture command recognition. Comes with a tray accessory that can be plugged in. Watch MiP balance multiple objects while moving or standing still! Multiple robotic modes including Roam, Stacking, Dance, and Programming. Perfect for a Christmas gift!